Every woman who lives and works in Russia has the right to grant her maternity leave. All due in this case benefits she needs to obtain in a timely manner. When going on maternity leave, the expectant mother should know about what types of payments he is eligible and when benefits should be listed. It is important to understand that the whole maternity leave is divided into several parts, each of which has different payoffs. 30-week term of pregnancy the expectant mother receives in the antenatal clinic of the hospital sheet, which she must provide on the job simultaneously with the filing of the application for leave associated with her pregnancy and childbirth. Sick leave is granted for a period of 140 days. In the case of complicated childbirth or, if the employee was born just a few kids, she has the right not the extension of the hospital. This type of holiday must be paid within 10 days after the woman brought in to work sick list. If the employer fails to pay the money within this period, he is obliged to transfer all funds not later than the day the short payment of wages. Small companies may not have at the time of submission of the application, this amount of money, but in this case the Director is obliged to handle the Social Insurance Fund to ensure that the money was paid to the employee directly. The benefit is paid lump sum for all 140 days of vacation. In the calculation it is necessary to take 100% of the average daily earnings of women for the previous 2 calendar years. After graduating from hospital a young mother has the right to apply for a leave to care for a baby up to 1.5 years and receive a monthly benefit equal to 40% of average monthly earnings. This form of cash payments to be credited to the employee each month at the same time, when other employees receive a salary. Sometimes it happens that maternity allowance much delay or is not going to pay. For a pregnant woman or young mother is very stressful. But she should know that the law is on her side and she can always defend their right to benefits. If money was not paid within the time specified, the employee may appeal to the Labour Inspectorate. In some cases this leads to a certain result. If the employer refuses to pay benefits, a woman can go to court. However, she has every right to compensation for moral damages and a recalculation of prescribed amount in accordance with the refinancing rate. If benefits are not paid for 3 months or more, the employee may contact law enforcement authorities. Currently, these steps may entail criminal liability. Maternity leave is financed by the state, but money for it is given by the employer from the funds of the company, and then he returned the amount paid. The terms of the refund are not specified, and they can be delayed. The employer does not want to pay their money, paying them indefinitely, and therefore tries to pay you less. In order to get the right amount of maternity leave, you must be formally employed and wages must be paid officially, and is not divided into wages, passing tax accounting and individual, issued in envelope. If your firm everything it is so, then the state will return to the employer only the money that is taxed. And it is unlikely your employer will want to pay you the difference from these amounts. So, getting the black wage is not in your favor. Paid maternity leave is 126 days. If the birth was complicated, there is an additional 14 days. The added sum is paid after delivery. In order to go on maternity leave will receive a certificate from a doctor of female consultation. The certificate is issued the special sample and is given for the thirtieth week of pregnancy. Maternity allowance is not taxable. So count salary plus taxes. The tax is 23%. For the calculation takes the average wage (plus taxes) for 6 months. Considered premium, and holiday pay. Not considered sick leave, the time spent on it, discarded from the sum calculation. Count the amount of money that you get for example the salary of 10 thousand rubles. His salary multiply by 23% (e.g. 10000*23% obtained a salary of 12 thousand 300 rubles). 12300-salary for the month, it must be multiplied by 6 (for 6 months calculated the amount of maternity leave), is the sum of 73800. This amount divide by the number of calendar days that were over 6 months (e.g. 6 months, there were 183 calendar days). 8*73800:183 403 turns of the ruble 28 cents. It will be the estimated amount in a single day of maternity leave. 9*126 days (such amount to be paid on maternity leave) multiplied by 403 ruble 28 cents (calculated amount for one day of the payment), is the sum of 50 thousand 813 rubles 28 kopecks. The same amount you will pay for maternity leave. Maternity leave benefit is paid for 140 days. When birth complications arise added 16 days. In multiple pregnancies maternity leave is 194 days. All days are paid at the rate of 100% of average earnings in 24 months. Women with experience of less than 6 months payment of leave days counted for minimum wage. Days of sick leave and unpaid leave in the amount of not count. A woman worker work for several employers can get the amount of maternity leave in all companies. The maximum amount may not exceed 1136,99 one day of payment. 20000*24=480000(all the earnings for 2 years). 657,53*140=92054,2(the amount of your maternity leave). In severe and complicated childbirth is paid for 16 additional days (based on reference). At birth two or more children: 657,53*194=127560,82(the same amount you will get). The amount of sick leave and unpaid leave in the total amount not taken into account. The whole amount during the sick leave subtract from earnings over 24 months, and still divide by 730 (days in 2 years). For women entrepreneurs and women with experience of less than 6 months, the calculation is done from the minimum wage (on the day maternity leave). The minimum size multiply by 24, divide by 730 and multiply by the required days of maternity leave (140, 156, or 194). Less than the minimum wage, for all working women, the amount of maternity leave is not accrued. Calculation of maternity benefits is determined on the basis of the Federal law of 29.12.2006 N 255-FZ. From 1 January 2011 came into force the Federal law No. 343-FZ of 08.12.2010 on changes governing the calculation of benefits. Maternity leave lasts for 140 days (if you had a difficult birth, the leave is increased to 156 days, if you had two or more children increases to 194 days). Maternity payments are paid in total. They do not depend on length of service and number of days used before childbirth. Reference wage for 2 years. The design manuals refer to the leaf of temporary disability at work. 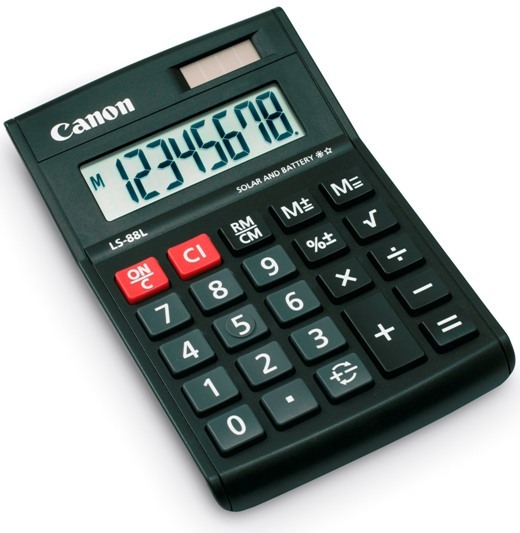 Calculate your earnings over the last two calendar years. If you have changed a job, need to help on average earnings from all the previous places. If help is not possible to collect, please submit a request to the Pension Fund of the Russian Federation on the added salary you have received. Calculate the average daily earnings – the sum of all wages, divide by 730. 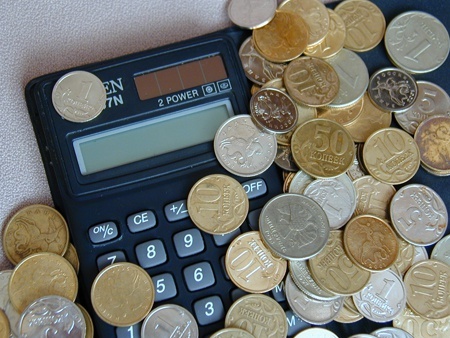 (By law the maximum daily earnings for benefit calculation cannot exceed 1136,98 rubles). Multiply the resulting amount by the number of days of maternity leave. This amount shall not exceed the amount of $ 159 177,2 rubles. Maternity leave and maternity leave is 140 days in normal pregnancy, 156 – in complicated childbirth, 194 – in multiple pregnancies or the establishment of multiple pregnancy during childbirth. Maternity leave for child care is paid until the child reaches the age of eighteen. Payable monthly in the amount of 40% of average earnings. Average earnings is calculated over 24 months. To calculate the benefit amount that you must pay for pregnancy and childbirth must be added to all amounts received by the woman during the 24 months preceding maternity leave. In General, the amount not set off the amount of social security benefits. The sum must always divide by 730. It will be a benefit for one day of maternity leave. Then multiply depending on how women pregnancy is singleton or multiple. This will be the amount of maternity leave. Tax, Fiat money is not calculated. 16 days for a severe course of childbirth after childbirth is paid a single sum. If the woman paid for the days as for a singleton pregnancy and the birth process was clear that the more children, the missing days are billed separately after delivery. When the woman has no experience of 24 months, calculated from the actual earned amounts and actual calendar days. Payments on social benefits not included in the calculation. The average daily earnings and is multiplied by the days required for maternity leave. The calculated amount may not be below the average daily earnings of the minimum wage. If the calculated sum of the average daily earnings below the established minimum wages, the sum to be paid at the minimum wage. Fiat money can be obtained from all employers, the company which operates a woman. Amount can not be higher than the average earnings, calculated from 465 thousand per year. Payments for maternity leave to care for a child up to six years is monthly 40% of the average earnings of women and cannot be lower than average earnings are calculated proceeding from the minimum wage. The average daily earnings multiplied by 30.4. The sum must be multiplied by 40%. If You leave decree in the decree, the benefits You count for income years prior to the first decree (in Your statement), of course, if nothing will change in the calculation rules. then contributions were not now closed the organization and open new from the 1st of December I will be working for a new organization and how do I get maternity leave how to calculate pomogite. there were two versions of the calculation of maternity benefits. So, in 2010, the maternity leave calculation was based on the payroll for 12 months before going on maternity leave. You have the option to calculate any of the options maternity leave and then compare them. For information: the 2nd option is more profitable if your wages for 2009 were higher than 2010. In the Russian-speaking environment, leave for pregnancy and childbirth colloquially called "decree". In legal terms, it is regulated by the article 255 of the Labour code of the Russian Federation and the Federal Law "On compulsory social insurance against temporary incapacity for work in connection with motherhood" No. 255-FZ of 29 December 2006 Law allows pregnant mothers to go on leave for pregnancy and childbirth. To go on leave for pregnancy and maternity is possible from 30 weeks of pregnancy. And in that case, if you are expecting twins, 28 weeks pregnant and two weeks earlier. Take advantage of this opportunity. While in the antenatal clinic should be issued a certificate of incapacity. Sick leave may be granted for a period of 140 calendar days. Of which 70 calendar days before childbirth and 70 after. In the case of a multiple pregnancy period will be 194 calendar days (84 days – before the birth and 110 after). Prenatal and postnatal leave should be decorated on one form sheet of disability. In the line "to Specify the cause of incapacity" must be underlined the words "leave for pregnancy and childbirth" and the date of birth. In the row of "Mode" must be specified "outpatient + inpatient". In the "Liberation from work" one line specifies the duration of 140 calendar days" or "calendar day 194". Since 2011 the Federal Law "On compulsory social insurance against temporary incapacity for work in connection with motherhood" was amended, which changed the procedure for calculating a hospital. To calculate sick leave for pregnancy and childbirth reference period for 730 days prior to the year in which they hospital, including temporary inefficiency in this period. Previously considered only really spent the days. When calculating the average earnings includes all types of payments and other compensations in favour of the insured persons who are charged premiums in the FSS. Average earnings, in this case, for each year considered in the amount not exceeding the limit value base for calculating insurance contributions to the social insurance Fund. All years prior to 2011, this database was 415000 rubles. The data are summarized. The resulting figure must be divided by 730, without deducting any days when you did not work. So we get the average daily earnings. In accordance with the Federal Law "On minimum wage" No. 82-FZ of 19 June 2000, 1 June 2011, the size of the minimum wage amounted to 4611 rubles. In regions where fitted raising factors to a salary, the benefit is paid from their account. If a woman at the time of occurrence of pregnancy busy working formally in several places, and in two prior years worked there, the allowance for pregnancy and childbirth is payable for all places of work. That is, the allowance for pregnancy and childbirth , it is possible to obtain several sick leave (for main job and second job). At each place of work do not count income received from another employer. If the leave for pregnancy and childbirth began in 2010, the benefit will be calculated under the old rules (before the changes), and in 2011, the accounting Department needs to make a conversion from 01.01.2011 to new rules for the period, which accounts for sick leave in 2011. If according to new calculations, the average daily wage will be greater, the benefit shall be increased, if less – allowance previously paid will not change. To calculate the term of the decreeand that the decree should be divided into three parts. The first part is the leave for pregnancy and childbirth, the second part is the leave to care for a child up to six years, and the third part is leave to care for a child up to three years. First you need a women's clinic to clarify the term of pregnancy. This is done at the first scheduled ultrasound, which you are asked to do on the 11th or 12th week of pregnancy. The doctor will determine the maturity of the fetus and tell you how much you have exactly lasts pregnancy. Based on this, count 30 weeks. Start of holiday and maternity leave will come from the first day of 31 weeks. Next, count 140 days from the onset of pregnancy and childbirth. This is the period that is paid in a lump sum. To pay you owe within 10 days after you written the application on holiday had a certificate issued in consultation, about what you do 30 weeks of pregnancy. Further, with a 141-day begins leave to care for a child up to six years. Count from your birth date year and a half. You can get leave to care for a child up to three years, but this vacation will not be paid. Thus, the decree begins on 31 week of pregnancy. Ends when the child is one and a half or three years, at your discretion. If you have the vacation you haven't yet gone this year, take it since 27 weeks. The third trimester it is better to hold in a relaxed home environment, after the outbreak of childbirth will not stop already 28 weeks. Take care of yourself and baby. All the time while you are on maternity leave, you have a full working experience. Next, consider the situation if you get out of the decree in the decree. In this case, your first maternity leave ends as of the date of occurrence of the 31st week of pregnancy. When calculating the benefits you can choose the amount that you to the is vacation pay and maternity leave, which has just occurred or you will continue the payment of leave to care for first child. According to article 255 of the Labor code, employers must give pregnant women the leave, managers must calculate the maternity payments. Under the new rules the calculation of maternity benefits is carried out in the last 24 months. But at the request of the expectant mother, the benefit can be calculated, and under the old rules, that is, over the last year. First and foremost it should be noted that maternity leave is granted on the basis of a medical certificate issued by a medical institution. This document should contain the leave date entered data of the expectant mother (including place of work and position) to be signed by the chief physician and the seal of the hospital. A woman carrying a single child, has the right to leave of 140 days (70 – before birth and 70 after); in multiple pregnancies, the number increased to 194 days (84 – before the birth and 110 after). If it was a breech birth, maternity leave for mothers increased by 16 days. For this woman needs to provide a certificate from the hospital. Calculation of maternity benefits under the old rules in Accordance with FZ No. 255 (the old version), maternity payments are calculated based on the average earnings over the twelve months preceding the month in which a woman goes on vacation. For example, according to sick leave, the employee must leave on maternity leave on 1 February 2012. In the calculation of the reference period 1 February 2011 to 31 January 2012. 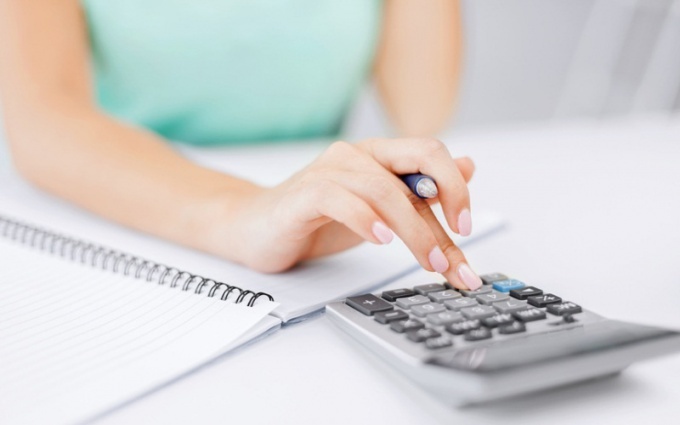 You first need to calculate the average earnings for the year. Add up all payments, minus those that were paid in connection with temporary disability, vacation, downtime, material aid. The resulting value will be divided by 365 days. Then, multiply this number by the number of vacation days, and you will receive the sum of maternity benefits. There is a maximum amount a woman can get maternity leave, she is 1402,74 rubles/day, that is 140 days of your vacation benefit will be 196386,3 of the ruble. Calculation of maternity benefits under the new rules, In accordance with the new wording of the Federal law, maternity payments can be calculated based on the average earnings over the last two years. The calculation algorithm is the same as under the old rules, but is calculated over 24 months, that is, the payout amount is not divisible by 365 days, and 730. The maximum payout is equal to 1202,74 rubles/day, that is 168383,6 rubles for the 140 days. Important: with heavy birth period of the maternity leave increases by 16 days. Accordingly, maternity leave payments are also subject to increase. For additional payment the woman must provide a certificate from a maternity home, write the application on recalculation. The amount is calculated in a similar way, that is, the average salary is calculated, the resulting sum is multiplied by 16. Maternity payment is not the only type of benefit that you are entitled to. For example, if you gave birth to a second child, you have to get maternity capital. In addition, you are entitled to a lump sum at birth of the child. For those who are planning to go on maternity leave in 2015, of particular relevance is the problem of calculating the potential of maternity benefits. This allows expectant mothers to correctly plan your budget for the birth of a child. It will remain the same, i.e. less beneficial for expectant mothers than it was in 2013. Of deducted the amount of maternity leave maternity, child care, periods of exemption from work, extra weekends to care for a disabled child. In 2015, for the calculation of maternity will be considered income for the preceding two years – for 2013 and 2014. Revenues in 2015 will not be counted, even if the woman will go on maternity leave in December. It is not beneficial to those women who have increases in income during 2015. - the duration of leave for pregnancy and childbirth. It can be 140 days in General, 156 days if complicated childbirth or 194 days in multiple pregnancies. To calculate the average daily wage has to add up the salary for two years, with premiums, vacation and travel. Please note that payments are considered to be without personal income tax. This does not include paid sick leave or benefits. Of 730 days is deducted the period in which the woman was on sick leave, on leave for child care, vacation and maternity leave. · hospital - 6000 R. (28 days). · hospital - 4000 p (25 days). The average daily earnings amount to: (150000+15000+40000+200000+20000+60000)/(365+365-25-28) = 485000/677=716,4 R. it Remains only to multiply the said amount by the number of days of maternity leave. So, in General, the size of maternity will be 100 296 p. (716,4*140). 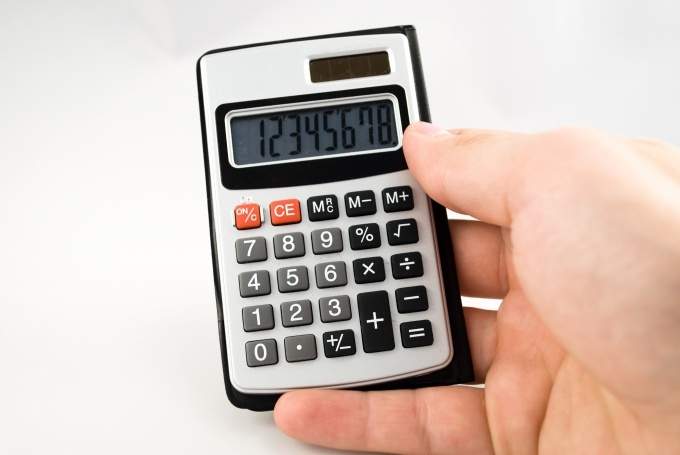 If independent calculations of maternity seem complicated, you can use one of the online calculators that are based on the data entered, will allow to perform the calculations. One of his examples is presented here http://www.b-kontur.ru/profi/decret#_. In 2015 he is 27 455,34 R. in normal childbirth, 30 593,10 R. - in complicated and 38 045,26 R. in the case of multiple pregnancy (194 days). Considered on the basis of the minimum wage in 2015 for a year – R. 5965 (5965/730*24*140). If you have a smaller amount of maternity, below this amount, you still do not get it. Maternity allowance can not be higher than the statutory level. The fact that the employer makes contributions to the social insurance Fund with the whole of the employee's salary and only income, a lower limit level. In 2015, takes account of the maximum levels in 2013 and 2014. Their size were, respectively, 568 and 624 thousand rubles Respectively, if your total annual income was above, you should still expect Fiat to limit earnings. On the basis of these values it turns out that the maximum amount of maternity in 2015 will be 228602,73 R.((568000+624000)/730*140). Accordingly, when birth complications arise, the figure is 254 728,77 R., in multiple pregnancies - 316 778,08 R.
What other payoffs at birth? This lump-sum benefit at birth of a child in a fixed amount (in 2015 it will increase to 14497,80 R.), and the allowance at registration in early terms of pregnancy, its size for 2015 – 543,67 R.). In addition, the woman may be eligible for additional regional and Federal payments, if available (e.g., Maternal capital). Maternity payments are not entitled. But they can get a lump-sum payment for early registration of antenatal clinics, and the allowance for pregnancy and childbirth in a fixed amount. The only category of unemployed citizens, which can still count on some payments, it is women who were dismissed within 12 months in connection with liquidation of the organisation or termination of activity as an individual entrepreneur (advocate, notary). However, the amount of maternity for such mothers more than modest. In 2015 it is 543,67 p. per month. For the calculation of maternity in this case, you must 543,67*140 days of maternity leave (or 156/194)/30 days. It turns out that total payments will amount to 2537,13 R.
Individual entrepreneurs can receive maternity allowance only, provided that they are registered to the social insurance Fund on a voluntary basis and paid insurance premiums for 2014. SP with any yield can rely solely on minimum benefits. Of course, it is unlikely that such an approach can be considered fair. For example, FIU SP must share 1% of income more than 300 thousand it is often the total amount of taxes paid into the funds year exceeds obtained maternity. Also the salaries of the entrepreneur and the deductions from it are not made on the basis of the minimum wage, and on the basis of regional minimum, which at times exceeds it. Most entrepreneur have to settle for 27 thousand. It is necessary to apply to their employer with the relevant statement and provide a medical certificate obtained at week 30 in the antenatal clinic. Allowance must appoint within 10days and pay on the day nearest paycheck. Entrepreneurs who are voluntarily insured in the FSS, it is necessary to write the application addressed to the Fund.